The adidas Originals Navy Palmeston Track Bottoms Track bottoms with a style borrowed from the archieves. 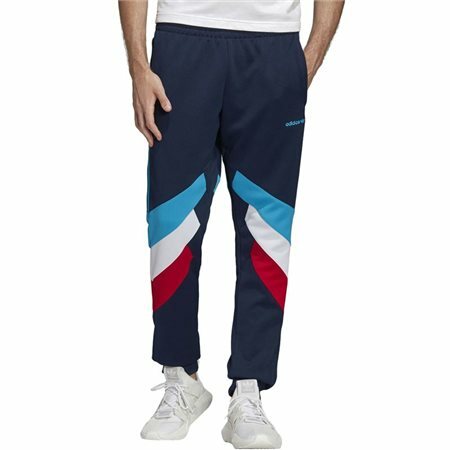 The original Palmeston track pants came out in 1990. Its iconic panelled look makes a return on these track pants. Made of interlock for an authentic, sporty feel. XS 27 - 29 " 32 - 34 " 31.9 "
S 30 - 32 " 35 - 37 " 32.1 "
M 32 - 35 " 37 - 40 " 32.3 "
L 35 - 39 " 40 - 44 " 32.5 "
XL 39 - 43 " 44 - 48 " 32.7 "
2XL 43 - 47 " 48 - 51 " 32.5 "
3XL 48 - 53 " 51 - 56 " 32.3 "